Tunneling AGV applications are common place within manufacturing and distribution. When using tunneling, the AGV will either tow via an actuated pin or will actuate the top of the AGV upwards and treat the load as a payload. 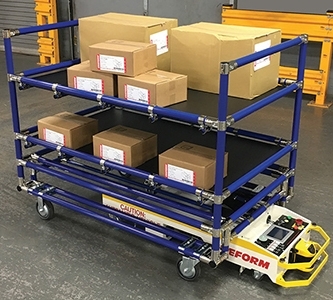 The most common reason for payload AGV applications is the dunnage not have towable casters and the product is lighter in weight.